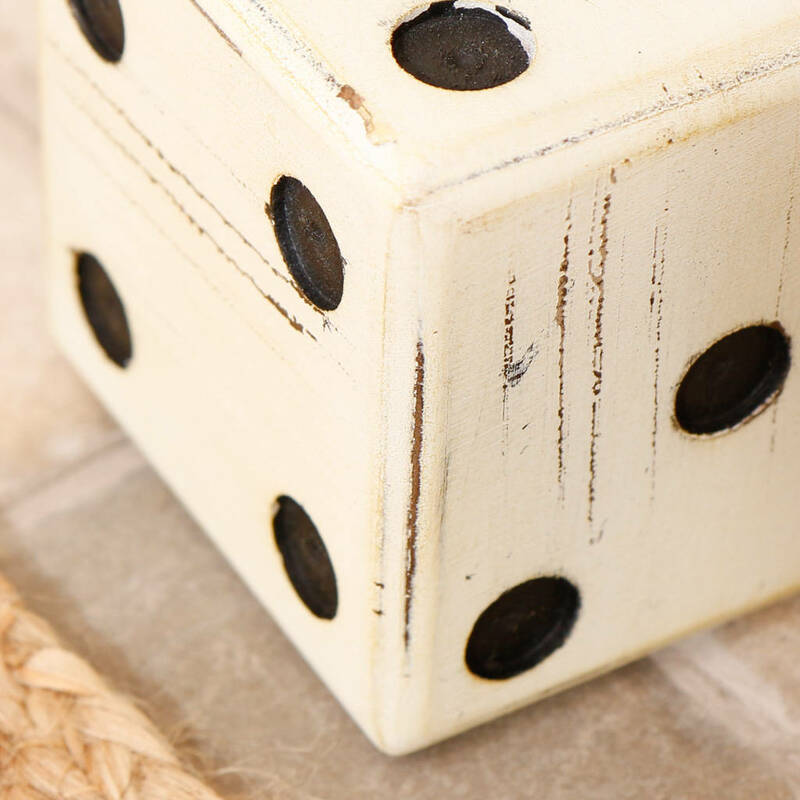 A stylish and quirky dice ornament, that will make an unusual accessory for a party, or to decorate a home. 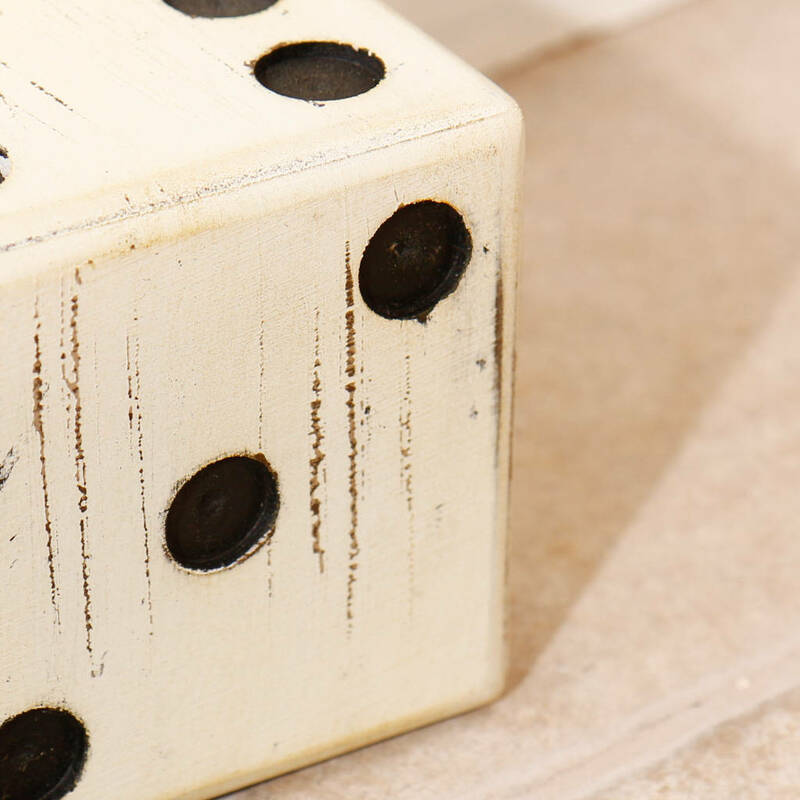 Made of lightweight, yet sturdy wood, with a deliberately distressed white finish for a vintage effect. 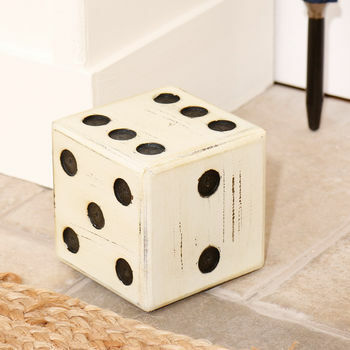 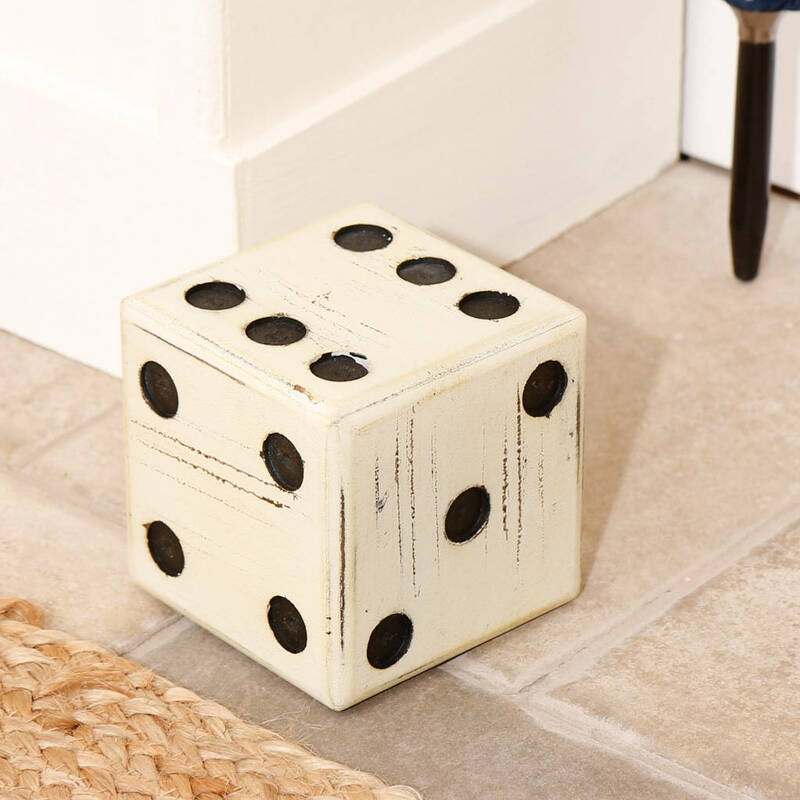 An ideal decoration for a casino night, or a Vegas themed party, this generously sized dice is full of character and sure to bring a touch of fun to any room. Great to have on display in a study, home office or man cave, this wooden dice will make a fantastic novelty gift idea for him, for any occasion from birthdays to anniversaries as an unusual present.